Yusmeiro Petit started off with two perfect innings, Travis Ishikawa got three hits and drove in two runs, and the San Francisco Giants beat the Texas Rangers 12-3 Friday. Petit set a major league record last year retiring 46 consecutive batters over an eight-game stretch. "I try to command my pitches, especially the first two games," he said. "I'm working on my pitches on both sides of the plate. Velocity just comes in the future games." Petit made 12 starts and 27 relief appearances last year, and likely will open this season in the bullpen. "I'm ready for any job," Petit said. Ishikawa hit a two-run triple in a five-run second, which Matt Duffy led off with a home run. Shortstop Brandon Crawford, limited to designated hitter duties because of a tender right shoulder, contributed a two-run triple in the first. Rookie Gary Brown homered in the eighth. The Rangers have been outscored 30-9 in losing their first three games. 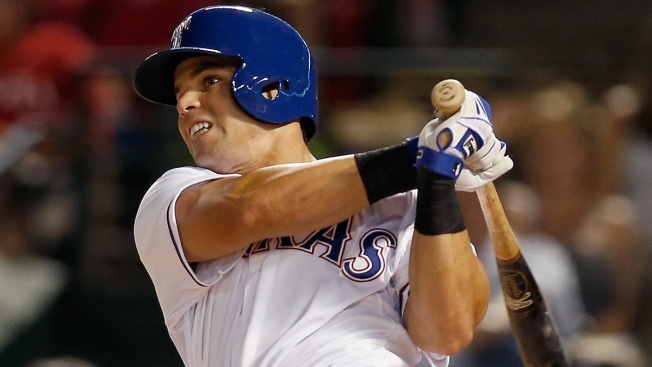 Jake Smolinski homered for the Rangers. Rangers: Rangers SS Elvis Andrus hopes to soon ramp up his return from a sore knee. He's done infield drills the past two days. Giants: Petit threw 15 strikes in 26 pitches with only one ball leaving the infield in his two flawless innings. Is he going for the spring training record of consecutive batters retired? "I'm trying," he said and smiled. "I know the hitters are not ready right now, so that's where I take advantage." Rangers: RHP Nick Tepesch was roughed up for seven runs on seven hits in 1 1-3 innings. "They were taking advantage of my mistakes," Tepesch said. "They were taking advantage that I wasn't hitting my spots as good as I should have been. They put some good swings on some pitches." Giants: It will be a rematch of World Series Game 1 starters. Madison Bumgarner will pitch Saturday against the Padres, who will counter with former Royals ace James Shields. Rangers: LHP Ross Detwiler, was acquired in a December trade with the Nationals, will start against the Brewers. Texas OF Shin-Soo Choo was back after leaving Wednesday with an upper respiratory infection. He played center and went 0 for 2. "Just had the flu a little bit," he said. "Feeling much better."